Though born of royal blood and in possession of the Tear sapphire, a jewel of immense power and magic, Kelsea has never felt more uncertain of her ability to rule. 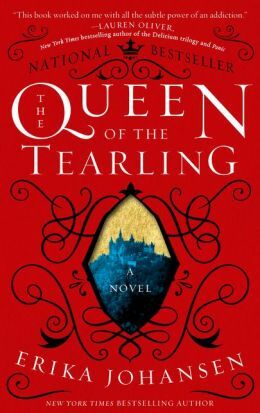 But the shocking evil she discovers in the heart of her realm will precipitate an act of immense daring, throwing the entire kingdom into turmoil--and unleashing the Red Queen's vengeance. A cabal of enemies with an array of deadly weapons, from crimson-caped assassins to the darkest blood magic, plots to destroy her. But Kelsea is growing in strength and stealth, her steely resolve earning her loyal allies, including the Queen's Guard, led by the enigmatic Lazarus, and the intriguing outlaw known simply as "the Fetch."